Spring flowers are starting to open — along with wallets, as parents and teens start shopping for their prom. Last year, the average teen spent more than $600 on tickets, outfits and transportation to the annual dance, an American tradition since the 1940s. Through its second annual Prom Gear Exchange, Catholic Community Services (CCS) is helping to reduce the price tag for prom, which many families struggle to afford. 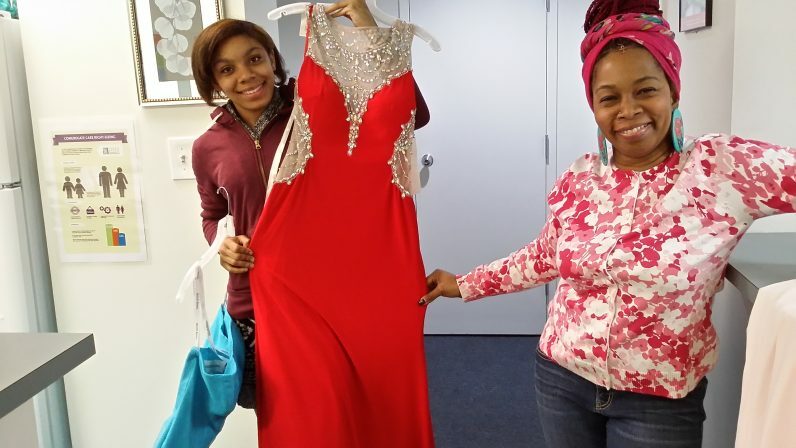 An agency within the archdiocese’s Catholic Social Services division, CCS is collecting gently used prom attire and accessories for distribution on Saturday, April 21 at George Washington High School in Northeast Philadelphia from 10 a.m. to 2 p.m. The event is free and open to all teens in greater Northeast Philadelphia, the area served by CCS. Attendees are encouraged to register with CCS in advance. Ginger Smith, the community liaison for CSS, came up with the idea for the exchange, which was first launched in 2017. Last year’s exchange, which was held at St. Martin of Tours Parish, assisted more than 25 teens in getting to the dance in style – including one couple who never dreamed they could attend. Smith hopes to help at least 100 youth this year with an expanded program that will include a DJ, personal shoppers, accessories and a resource table. Precious Brown, a student intern at CCS, will manage the resource table, providing information on scholarships, driver’s education courses and other opportunities of interest to teens. Now in her senior year at Imhotep Institute Charter High School, Brown is researching youth needs and concerns through her work at CCS. Brown plans to choose a dress from the exchange, which is also receiving support from a number of local businesses and area schools. 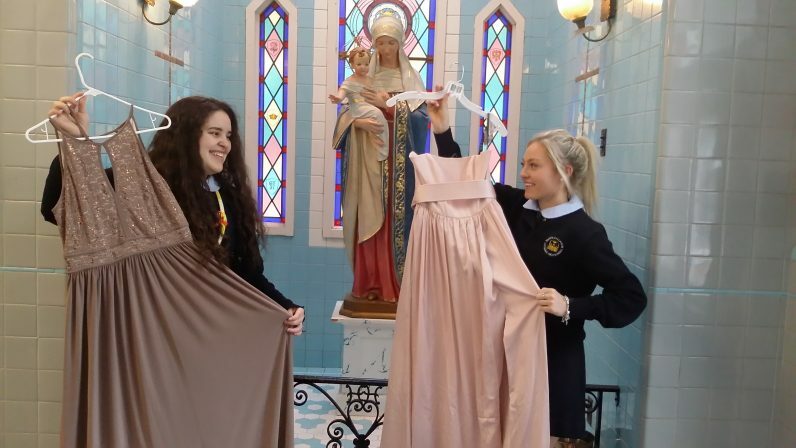 Students at John W. Hallahan Catholic Girls’ High School have partnered with CSS for this year’s event, collecting dresses and shoes to expand the wardrobe selection. Brooke Golden, a senior, noted that the Prom Gear Exchange makes both financial and ethical sense. To learn more about the Prom Gear Exchange or to arrange a drop off, contact Ginger Smith at 215-221-2010 or gismith@chs-adphila.org.